Stokes Vacuum, a pioneer in the development of vacuum technology since 1895, is a leading world wide supplier of high quality vacuum equipment for industrial, electronics, chemical, petrochemical, food and pharmaceutical processes. The products include the venerable and rugged Microvac rotary piston pumps and vacuum booster blowers. 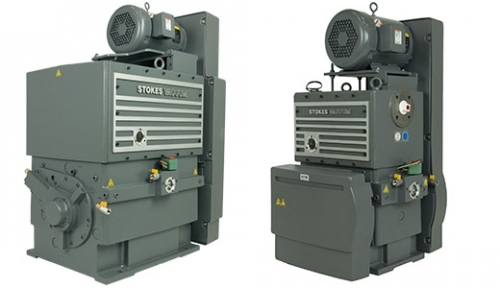 Stokes vacuum pumps are regarded world wide as the work horses ofthe industry.